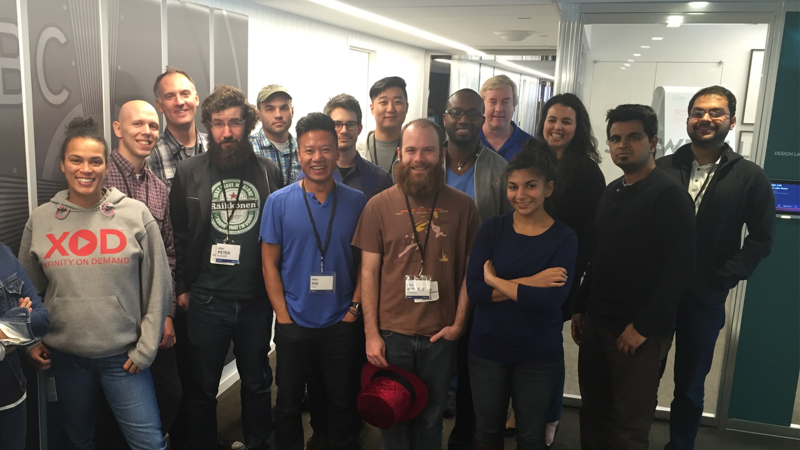 Team Eclipse (Justin LaRose, Chris Loringer, Brad Hein, Priya Bagchi, Peter Flanner, Thomas Carroll, and Arudra Venkat, all from Technology and Product Development at Comcast) won the hackathon’s overall grand prize and one of the prizes in the Crowdsourced Comedy Genome category. The team created “Eclipse,” a metadata tool that allows users to share annotations while watching their favorite programs. (Think Genius.com, but for sitcoms.) Users can instantly share their annotations and edit metadata using any browser-enabled device or Xfinity’s X1 platform. Sam Harrell from Media Labs took home the other Next Generation Advertising prize. Sam’s InScene creates customized ads directly within content a user is viewing. Like other technology companies, Comcast and NBCUniversal use hackathons to encourage collaboration while developing extraordinary new features for customers. Not every hackathon project makes it all the way to production, but don’t be surprised if you see many of these teams’ innovations in future product releases. Several prototypes presented during our public hackathons have already been developed and introduced to the market.